There are approximately one million different flasks on the market, and they all have the same problem: the opening is too small. Sure, it’s great if you’re trying to nip a wee dram, but most of us carry these less for novelty and more because they’re a great way to pack a little bourbon into a remote area. Enter the GSI Glacier Flask (8 oz., at right), possibly the most bomb-proof bourbon carrier ever devised. 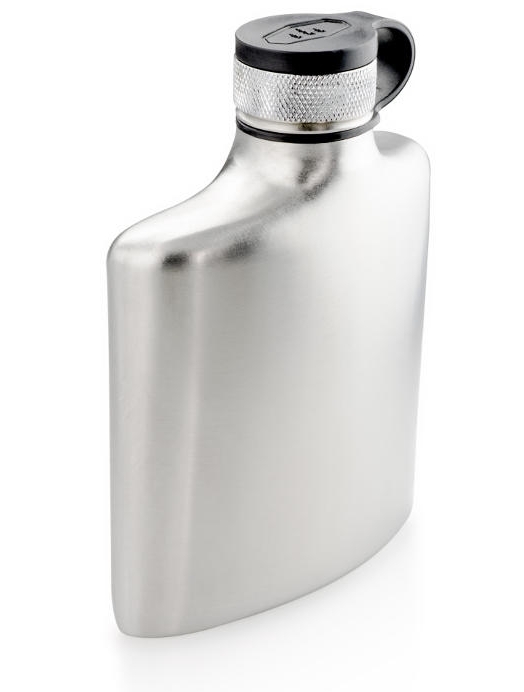 With sturdy, Yeti-grade stainless construction, a heavy metal knurled cap, and a “wide-mouth design” you can actually pour a refill into, this is an ideal stocking-stuffer. Purchase: At REI or from GSIOutdoors.com.